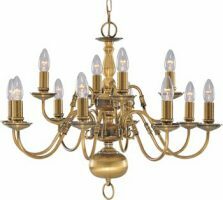 When it comes to ceiling lights there is a huge variety available, so how do you choose the correct lighting type for your hallway, bedroom, living or dining room? 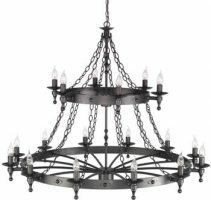 Your choice of type and finish will be determined by factors such as décor, size of room and style of furniture. 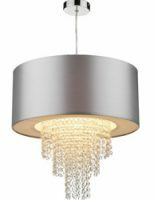 A ceiling light fixture is the main source of lighting in many rooms and should reflect your personality, whilst blending with the decor. 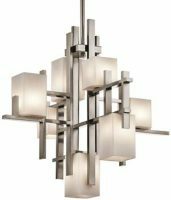 You can have a solo and central light fixture or multiple fixtures that will illuminate different zones within the room, these can be matching or all uniquely different, depending on the look you are trying to create. 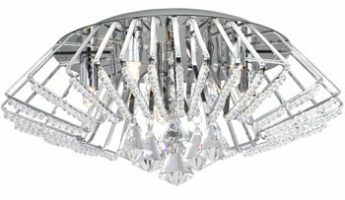 Lower ceilings will benefit from a flush mount or semi-flush mounted ceiling light, especially where there is high foot traffic under the fixture. 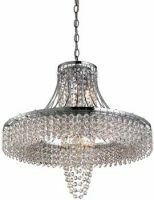 If your room has high ceilings, then a ceiling pendant, chandelier or hanging light could be considered. If the main lighting bounces off the ceiling and into the room, then the choice of colour is important. Lighter colours will give a higher output than darker ones and pastel shades can give the light a lovely soft diffused hue that can give a relaxed homely feel. 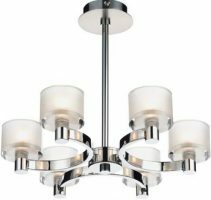 Be inspired, be bold and express yourself with our massive range of ceiling lights and lamps.